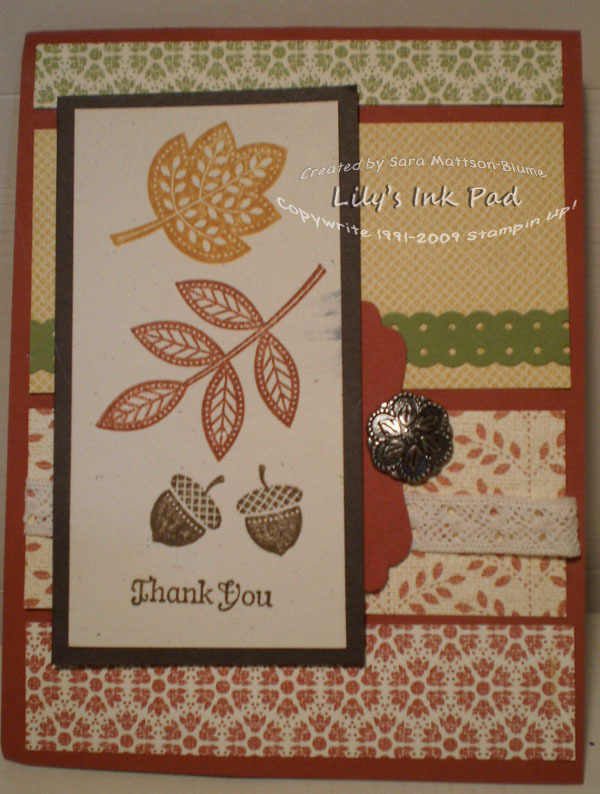 Lily's Ink Pad: Happy Thanksgiving! 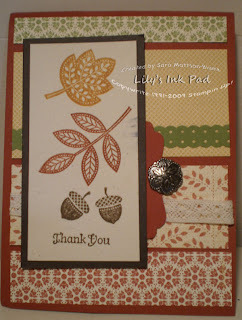 I love every page of the Autumn Spice Paper and this card is quite the way to use all of the paper I want! More Autumn Spice! Can't get enough of it! Beautiful Card. So pretty! Love the paper and embellishments you chose to use as well as the layout, tfs! Great use of DSP - lovely card! Pretty, pretty...and I love that brad placement!